Facebook keeps small-business owners in mind when it rolls out new products and services. "The more that Facebook can help small businesses grow relationships with their customers and increase sales, the better," says Sarah Smith, Facebook's director of online operations. Smith, age 35, oversees the social network's small-business growth team based in Austin, Texas. Entrepreneur: What's most important when using Facebook for business? Smith: Be real. People want to hear from the authentic you and have fun interacting with your business. Your customers are already on Facebook, checking out photos of their friends and videos of their niece's first steps. They're also eager to hear the story of what's really happening in your business. Entrepreneur: For business owners, what's the most important metric to measure? Smith: All businesses should be paying attention to the number of "People Talking About This" and friends of fans reached in their Page Insights page in your Admin Panel. Understand what types of posts are resonating with your fans and how you're getting your messages to go viral. Ideally, you should have some sort of promotion that gets customers telling you that they heard about you on Facebook, so you can start to link your sales with your Facebook activity. You can also like the facebook.com/marketing page to get updates from Facebook on products and tips. Go to facebook.com/classroom to check out some of the new webinars we've just started rolling out. 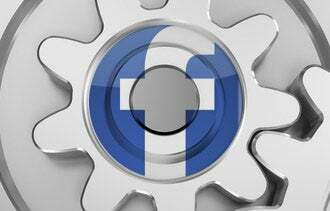 Smith: Play around with Facebook targeting. People put their likes and interests on their Timelines, so advertising can granularly target people who would be more interested in hearing from your business. If you're running a health-food store, for instance, target people in your area who have "Vegetarian" in their profiles or health-related interests. There's also the new Promoted Posts. From your Page, you can turn those "must see" posts -- say, for example, a celebrity comes into your restaurant -- into ads to reach more of your fans. When you see in Page Insights that a post is getting really good response from fans, you can promote those posts quickly and easily.